* The Bullish Trigger in Advanced Micro Devices. * The Bearish Trigger in Alibaba. * The Bearish Trigger in Nvidia. * The Bullish Trigger in Nvidia. * The Bearish Trigger in Netflix. Micron is one of the most exposed companies to the Chinese economy and the semi-conductor industry is in a state of volatility. Today we look at when a bearish trigger has worked. At the end of each day, the back-tester checks to see if the long put is up 20%. If it is, it closes the position. You will notice there is no stop loss -- this trade has, historically, seen large drawdowns only to bounce back over the 21-day period into a winner. We note the risk in having no stop loss. ➡ The average percent return per trade was 25.8%. 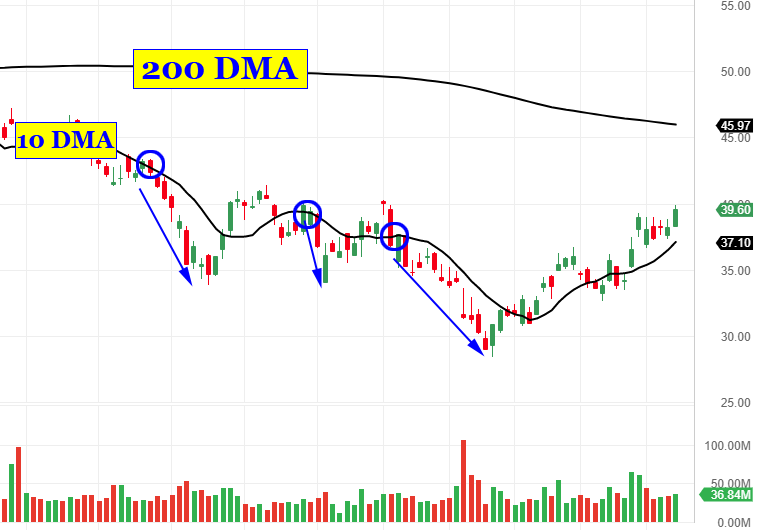 You can check moving averages for MU on the Pivot Points tab on www.CMLviz.com. As the stock has dipped 3% over the last 6-months, the bearish trigger with options shows a 326% return.